We are really pleased to be able to offer the award-winning Luycho Memo Pad, which as well as being functional is also a work of art! Tim first saw this at the 2015 Puzzle Party in Canada, where it was shown around by one of the Japanese attendees. 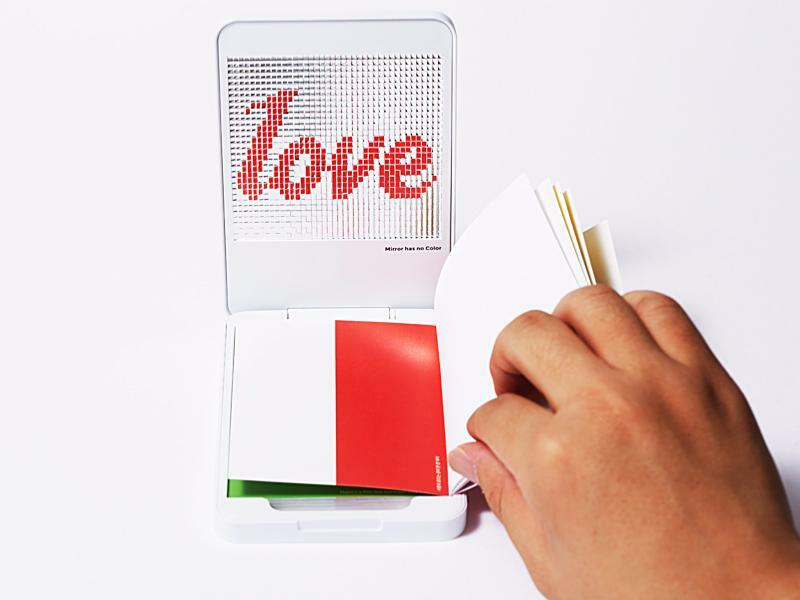 The memo pad comes from South Korea, and was originally released in 2014. 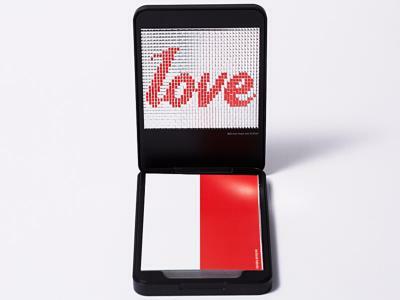 Open up the smart plastic case, and inside the lid is the Love/Hate mirror, consisting of 1,280 micro mirrors in a 32 x 40 array. Each micro mirror is set at a different angle, using a unique reflection-angle-control-technique which is unique to Luycho. 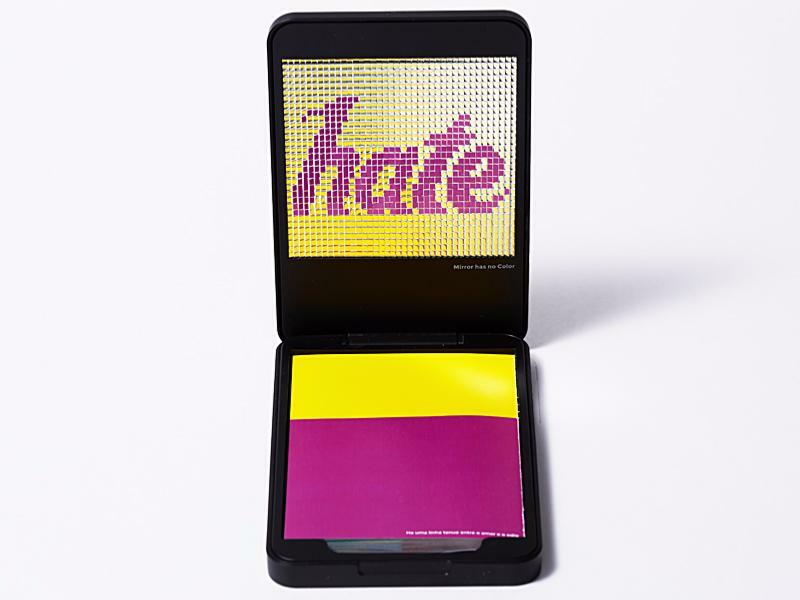 The mirrors are set up such that if a sheet of memo paper has different colours to the left and right hand side, the word 'love' will appear in the mirror array; if the sheet of memo paper has different colours on the nearer and further sides, then the word 'hate' will appear in the mirror array. If you have a blank sheet of paper, you can slide your hand in from one side or the other, to get the same effect. Luycho Inc have created a number of large scale art installations that are realised using scientific principles such as reflection, deflection, shadows etc, and since 2013 they have also created a range of consumer products based on reflection in mirrors. The memo pad is 90x135x15mm, and is made of abs plastic. The case can either be white or black. If you have a preference, please mention this in the shipping information. The memo sheets are 79.5x110mm. 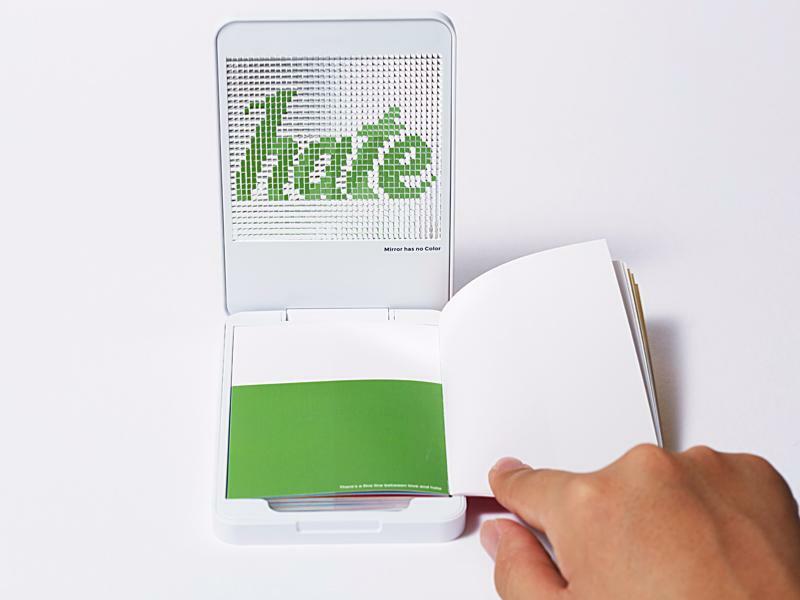 There are 50 sheets supplied, with 10 different designs.Love/Hate comes supplied in a smart silver-coloured cardboard presentation box.